You’ve refreshed your batteries this summer, but the new semester at university is about to kick-off, so it’s time to get yourself prepared. Whether you’re returning to campus or heading there for your first year of study, there are certain stationery items that will be essential to your success. Check out our favourite Back to Uni essentials below! With so many lectures and seminars to attend, and with a mountain of information to take in, it can be a little overwhelming at first. So be sure to stay on top of it all with a Weekly Planner. Write lectures and their times on their corresponding days, and important dates, like deadlines for coursework, and you’ll be able to take it all in your stride. A huge step to succeeding at university is making sure that you’re organised, and decluttering your desk is imperative to achieving that. Place all of your stationery items in one place, in this fabulous Zip It Jumbo Pouch. Once empty, it completely unzips, while looking like a funny monster most of the time! While no one likes pulling all-nighters, handing in that finished assignment feels pretty good. A feeling bettered only by the sight of a top mark when you get it back! Now you can safely store away all your best (and your not-so-best) efforts in this fabulous Home File. And that’s not all it can hold either. You can organise and store notes, letters and paperwork – making the student life that little bit easier! Take it to classes and seminars and add your day's notes. Organising your notes may not be the most glamorous of tasks but it will save you time months down the line when you need to refer back to a previous lecture. There is plenty of space inside the file to store hundreds of pieces of paper – just what you’ll need with all that work! B&M Top Tip: Be sure to separate the notes into their different subjects with this 10 pack of coloured dividers. Of course, with all of this note-taking, you’ll need something to write them all down with. These Frixion pens from Pilot allow you to erase any errors – perfect for note-taking. And unlike most erasers, these unique pens don't leave behind any debris! Because you've already got enough mess in the kitchen that needs ignoring! Make important passages, facts and figures jump out of every page with Staedtler highlighters. The pack of 8 pens, varying in colour, make note-taking and reading easier than you could ever imagine. They’ll come in handy during those long study sessions as notes will be easy to find. One of the most essential things you'll need is your diary. 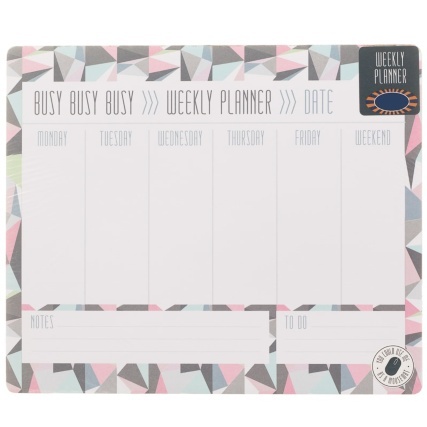 It helps you stay on top of important dates, lectures, seminars and days (and nights!) out with friends! This stylish A5 Academic Diary will become your best friend and is available in three fun, vibrant designs. The most useful thing you will ever have at university is your notebook. Some people prefer to use their laptop in lectures, but that can become tiresome to carry around. 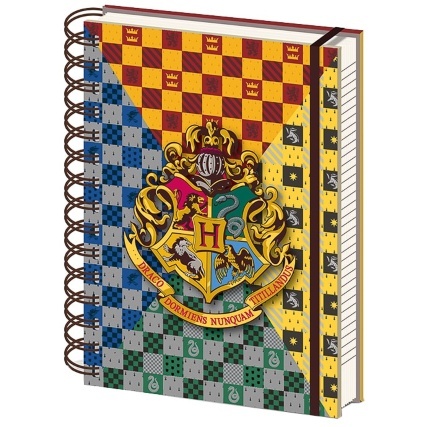 This Harry Potter Notebook is perfect for taking notes during lectures. It’s also ideal for the witches and wizard wannabes among us! But instead of writing down Professor McGonagall's spells, you'll have to settle for maths equations or Shakespeare sonnets. Do you have any tips for students heading back to university? If you're in your second or third year, what was the one piece of stationery you wish you'd known to take with you when you were a fresher? Let us know on Twitter, Facebook and Instagram!